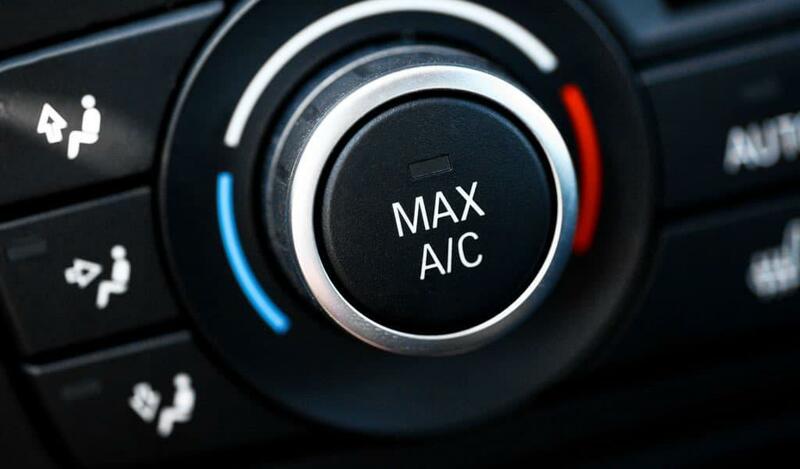 Is your car air conditioner ready for summer? As summer temperatures climb, you might notice your air conditioning isn’t running how you’d like. Perhaps the car air conditioning is not cold enough, or it doesn’t cool off at all. If that’s the case, your thoughts quickly turn to car air conditioning repair. There are plenty of things to worry about, especially car a/c repair cost and what might be wrong. Allow the experts at Mel Rapton Honda explain how this vehicle system works and what you can expect with car ac repair. Back in 1940 Packard introduced the first car air conditioning for the market. Since then it’s become something that’s offered on virtually all new vehicles, providing comfort throughout the summer months. Unfortunately, most people have no idea how air conditioning for their car works. That means when there’s a problem they’re not sure what it could be. With knowledge comes power. You’ll feel less anxiety about vehicle ac problems if you know at least a little bit about how the system works. The air conditioning system is made up of several parts, including the compressor, condenser, evaporator, orifice tube (expansion valve), and accumulator (receiver-drier). When you turn the switch to cool the air, these components work together to make that happen by removing moisture from the air and cooling it. What you feel is cold air coming through the vents. Sometimes the problem is that the air conditioning system needs to be recharged. That involves replacing refrigerant, which is partially fluid and partially gas. It’s responsibility for making the air in the evaporator cold, cooling off the air as it passes through and into the car interior. If this is the issue, all you need to do is replace that refrigerant to get the system running properly. A technician can address the issue in a short amount of time and for minimal cost, making for an easy decision. It’s a quick fix that will have cold air blowing through the vents and everyone happy to be in a comfortable car once more. Older cars use a refrigerant you can buy and replace yourself. With newer cars, the refrigerant can only be purchased and handled by someone with proper certifications. With several components in the mix, the air conditioning sometimes has a mechanical problem that requires fixing or replacing one or more parts. Exactly how much those repairs will run depends on the exact issue that needs to be addressed. A service shop can diagnose air conditioning problems quickly, giving you a good idea of what it will take to get it up and running again. From there, you can decide how to address the situation. It’s better to get the information than to suffer in the sweltering heat of summer. Of course, you have a trusted ally when it comes to assessing what’s wrong with your car’s air conditioning and fixing any problems. You’re probably asking, “where’s a car a/c repair shop near me?” We have a solution. Visit the local service department at Mel Rapton Honda today for professional assistance with all your vehicle needs.